This swoon worthy cream features rich Vanilla, Tonka Bean Butter and gourmet Cocoa Absolute. What started out in our Littles 4oz sizes has graduated to 16oz due to popularity! Our Vanilla Bean Body Cream features plant powered Aloe Butter, Safflower Oil, Coconut Milk and Aloe Vera Leaf Juice. Rich, extra moisturizing cream hydrates the skin without greasiness and features ECOCERT certified ingredients. BNB products are always toxin free, vegan and cruelty free! Usage: Apply liberally and as often as desired. We like to say if you can't eat it, don't wear it, although this yummy product is intended for external use only. Does not contain a sunscreen. 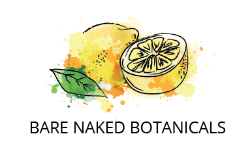 Citrus oils can increase sensitivity to sunlight. Please refrain from wearing the Bergamot Lime cream before extended time in the sun. Full List Of Ingredients: Distilled Water, Coconut Milk, Aloe Vera Juice, *Glyceryl Stearate, *Cetearyl Alcohol, *Sodium Stearoyl Lactylate, Cetyl Esters, Organic Aloe Butter, Organic Safflower Oil, Vegetable Glycerin, Vanilla, Organic Tonka Bean Butter, Organic Cocoa Absolute, **Gluconolactone and **Sodium Benzoate. Love this lotion. It’s my staple. I need to try other flavors. Such a good smelling lotion - natural yet romantic smelling! Best lotion.. I do not itch or have flaky skin and I love that it's non-toxic. The smell is great and not over-powering. I use this lotion and nothing else. I want to try some other scents. I love this stuff and love this line. Just discovered it at the Vegas show last weekend. The vanilla scent is not too strong, and the lotion is hydrating and goes on smoothly - not sticky. This is my favorite scent!